Born in 1967, the E-Type listed was originally purchased by American Richard J Neilam, who took delivery of the car from his local Jaguar dealership in California. E-Type 4.2s were built to compete with the US sports cars’ contemporary V8 engines, and Neilam was one of many across the pond benefiting from the improved usability and drive of the enhanced models. 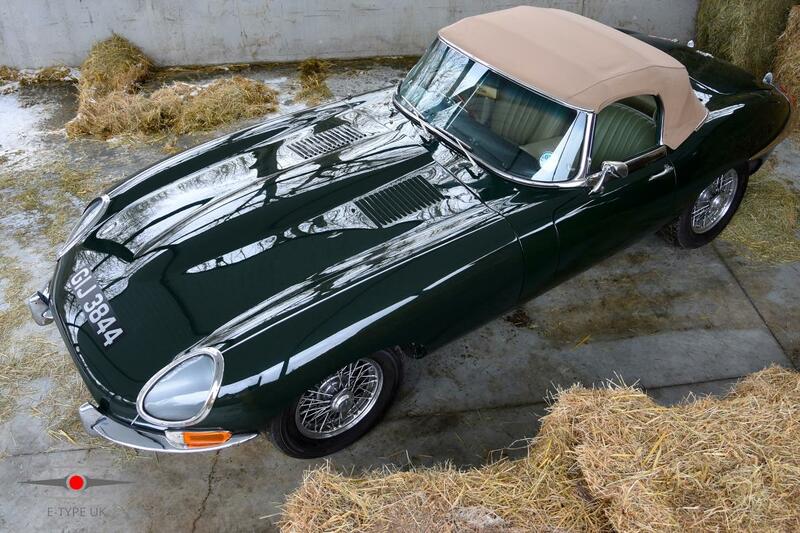 The stunning model on sale at E-Type UK is believed to have spent the majority of its life in and around California before being imported back to British shores in the middle of 2011 – when it was brought to E-Type UK for comprehensive work. 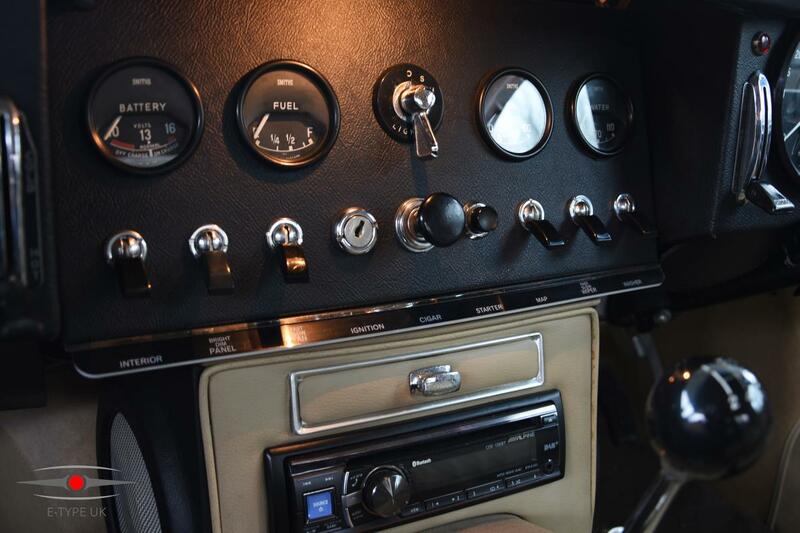 The owner requested that the car be brought up to date and ready for modern driving, so E-Type UK’s talented team got to work on substantial conversion and upgrade work. 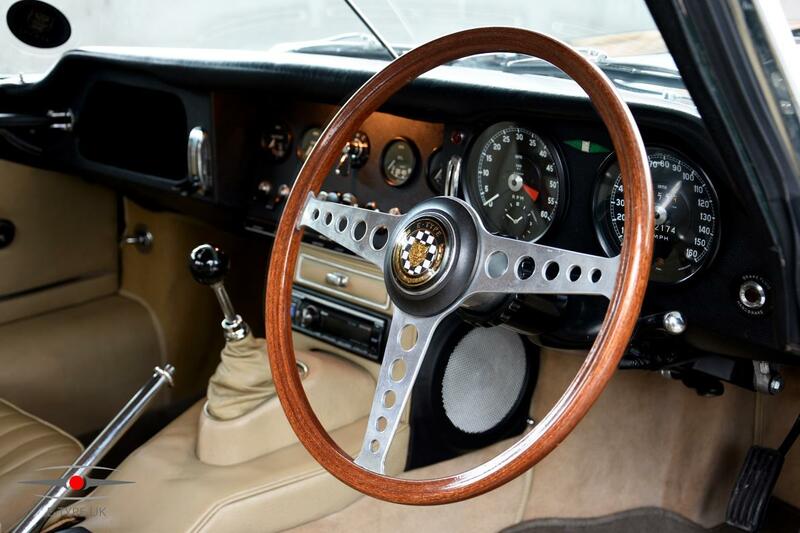 It was completely converted to UK Series 1 specification, including a right-hand-drive conversion, triple SU carburettor upgrade, headlight closing and Series 1 dash conversion. The car was also upgraded with a five-speed gearbox, aluminium radiator and header tank, electronic ignition and wider triple-lace wheels. It retained its original – and rather stunning – British Racing Green colour scheme, together with the contrasting beige interior. All of this amounts to a truly remarkable E-Type with the ability to both keep up with modern traffic and perform on par with contemporary sports cars, all with the unrivalled style and flair of the original model. Due to regular check-overs and professional maintenance, the car is mechanically perfect and drives excellently. 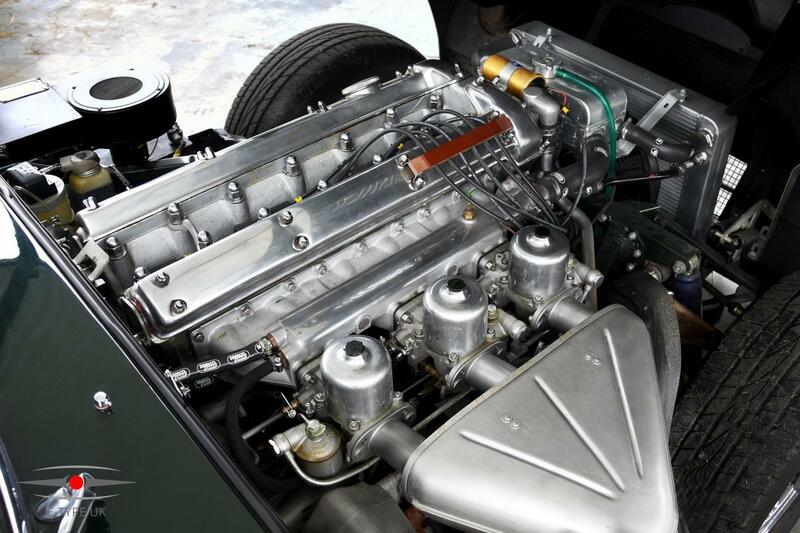 E-Type UK has serviced the car fully on a regular basis and has carried out all work needed for an advisory-free MOT. All UK documentation, as well as the original handbook and heritage certificate, are present with the car.